Despite numerous misconduct cases in which employees had inappropriate contact with students via texts or social media, most school districts in San Diego County still don’t have policies addressing such behavior. Tim Medlock, a physical education teacher at Westview High School, sent his then 17-year-old female student text messages like “Should I be jealous you have a new bff? ;)” “U just better not for get me,” and “Night night sweetie,” over a year-long period. 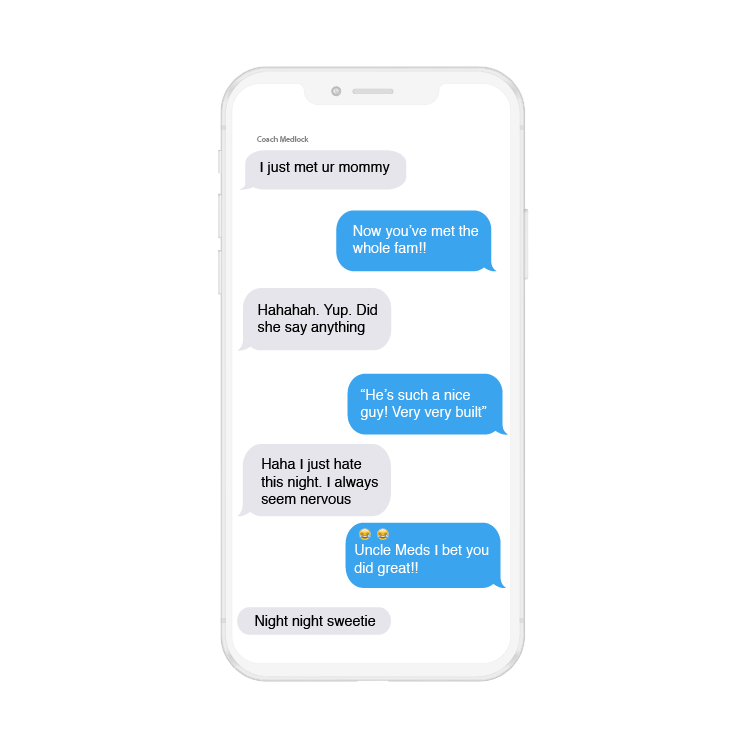 The student’s parents, whom VOSD is declining to name to protect the student’s identity, discovered the texts on their daughter’s cell phone just months before her 2017 graduation. Her mother told a principal at Westview High School about the messages. Todd Cassen advised Medlock to immediately stop texting the student. 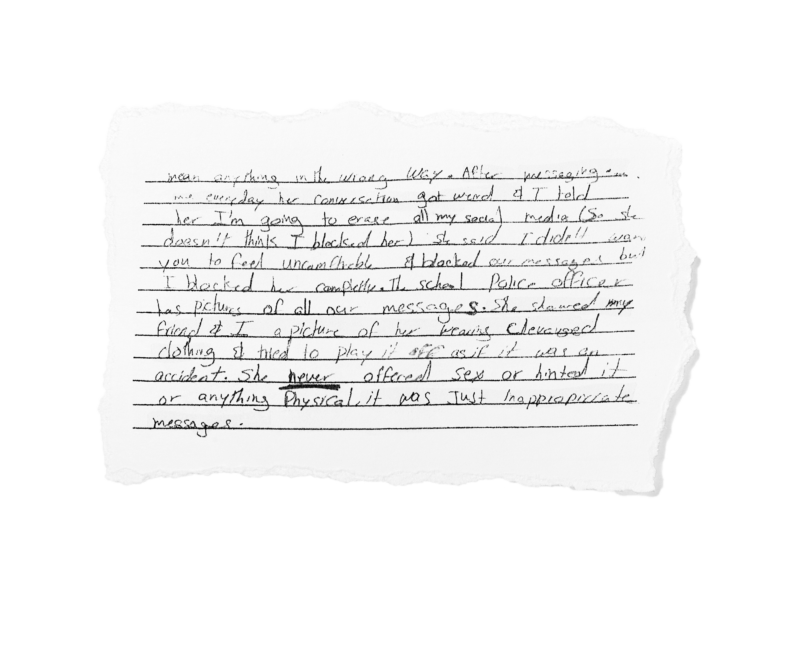 When the student’s mother brought in photographs of the texts a few days later, he told her to report them to Poway Unified School District officials, she said. At the time, Poway did not have a policy addressing employees’ personal use of technology or contact with students over social media and text messaging. Though the district updated its policies following the Medlock case, they still do not include guidelines on texting or contact with students outside of the classroom. Medlock is still teaching physical education at Westview High School. During the district’s investigation, he admitted some of the text messages he sent were inappropriate. Poway told the student’s parents that Medlock was disciplined, but a district spokesperson would not disclose what disciplinary actions were taken. Medlock did not respond to an interview request from Voice of San Diego. Though teacher misconduct and relationships with students are not new, the Medlock case and others reveal the ways in which technology and social media has facilitated such contact and made it easier for employees and students to interact outside of school. For more than a year, Voice of San Diego has been investigating school district records of substantiated instances of teacher misconduct. 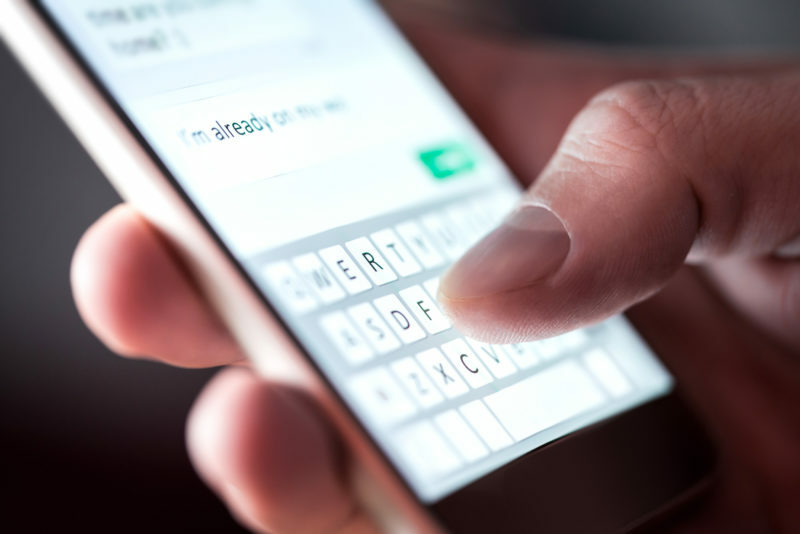 Inappropriate contact between teachers and students via texts and social media appear over and over again in those records. A review of district personnel policies countywide shows few mention interactions with students over online platforms. The ones that do were implemented within the last seven years – often following investigations into employee misbehavior that involved interacting with students over text or social media – and are inconsistent in terms of what platforms they address and the extent to which they spell out specific boundaries for employees. Before Oceanside Unified School District created a new social media policy in 2016, it dealt with at least two cases in which employees used Facebook to have inappropriate interactions with students. The district struck a deal with El Camino High School JROTC teacher Gene Larue after he initiated an inappropriate relationship with a 16-year-old student, and used Facebook, Instagram and text messaging to communicate with her outside of school hours. Larue used Facebook Messenger to invite one of the students in his drill class to his house and made inappropriate comments on photos she posted. Records show Larue used Facebook Messenger to send messages like “Damn, you look so good” and “Beautiful, hot,” and to write comments including “down right gorgeous!” on the student’s Facebook page. Larue told the district during the investigation that he had two Facebook pages – one for personal use, and one that he used to interact with students. He also said he had two phones – one for personal use, and one for work. He said he used a separate Google number to send text messages to students. During the district’s investigation, Larue’s Facebook comments started to go missing, and the student said she did not want to return to ECHS because the deleted comments indicated “now he (LaRue) knows,” according to district records. She dropped his class because she said “she felt awkward about Larue,” and she eventually transferred to another high school in the district. Larue was paid and received health benefits during the nearly five-month investigation, and for one month after he voluntarily resigned as part of a settlement agreement, according to the records. The district’s settlement with Larue included an agreement that the district would stay quiet about the misconduct if contacted by a prospective employer. The same year, a second-grade teacher at McAuliffe Elementary School – also in Oceanside Unified – used Facebook to message an underage girl, the sister of one of his students. In the summer of 2014, Nelson Cohen friend-requested a fourth-grade student on Facebook and sent her a message asking how she was adjusting to her new school. When the student posted a photo of herself and her sister at the beach in bathing suits, Cohen commented “Oh…boy you two look good.” Then, he friend-requested the girl’s 15-year-old sister. The same year, Cohen sent the 15-year-old messages like “take a risk,” “you know what you want and how to have fun” and “cute!! Money and lots of it, think about it, you could have anything you want.” The girl told her mother she was uncomfortable with his contact, and her mother said she believed that when Cohen sent several messages in a row suggesting that she “take a risk” and meet him, he was targeting her aggressively and sexually, district records show. Oceanside placed Cohen on administrative leave with pay pending an investigation. He told investigators and Voice of San Diego that he is Facebook friends with current and former students he bonds with because he cares about them and wants to see how they are doing. He also said he texted a few students whose parents he was friends with. The district found that Cohen had shown a lack of professional judgment, making a recurrence probable, and suspended him for 11 days without pay. 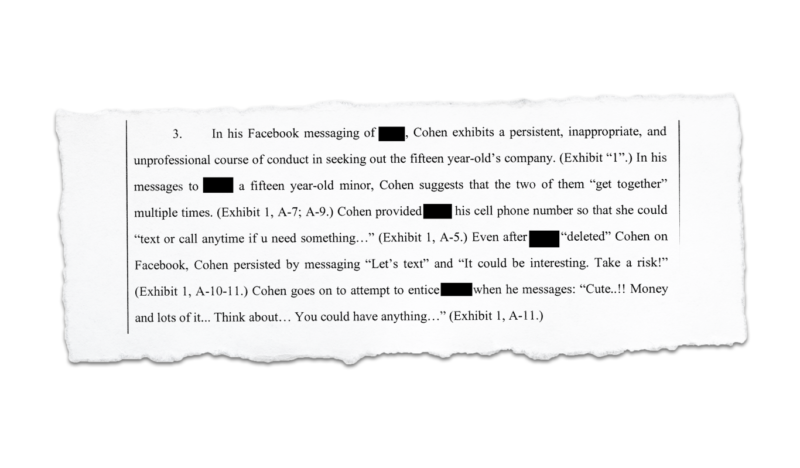 Cohen told Voice of San Diego he messaged the student on Facebook in order to try to help her financially, but said he now knows he made a mistake in communicating with her. He said he was trying to speak with her in a way that teens speak, but was not grooming her and is not a sexual predator. He also said he no longer communicates with students on social media. Cohen currently teaches second grade at McAuliffe Elementary School. Matthew Jennings, a spokesman for the district, said he is working to update the district’s administrative regulations relating to social media so that staff members have a better understanding of social networking platforms. In 2016, Grossmont Union High School District struck a deal with former El Cajon Valley High School campus supervisor Rosanne Irving after a student told administrators Irving asked for his location over Facebook message, offered naked pictures, complimented him and let him skip classes. Former El Cajon Valley High School campus supervisor Rosanne Irving used Facebook Messenger to communicate with a male student outside of school hours. A student wrote a statement to the district about Facebook messages sent to him by former El Cajon Valley High School campus supervisor Rosanne Irving. Irving resigned from her position at the district following the investigation in October 2016. Another employee in the Grossmont district, science teacher Marc Henning, told investigators he has used Facebook to communicate with his students at Santana High School since 2011. On repeated occasions during the 2011-2012 school year, he called and sent text messages to one female student’s cell phone sometimes as late as 3 a.m. about how the student was “pretty” and that things were “rocky” between him and his wife. He also sent a female student personal messages on Facebook. The same year, Henning told a group of female students during class that they should post pictures of themselves at the beach on Facebook. A parent overheard the comment and notified the school principal, according to the files. Records say Henning kissed the same student on the side of her face, told her that she should have worn a sports bra on a day she did jumping jacks during class and brought her balloons, flowers, a poster, movie and cake on her 17th birthday. The district determined Henning’s misconduct was unprofessional and instructed him to “refrain from any and all communications with District students via non-District email, Facebook and/or any other social media service; electronic messaging sites, systems or apps,” and from having any private interactions or situations with female students. Grossmont suspended Henning for four days. Henning, who violated a previous order to refrain from all physical contact with students after he rubbed a girl’s back and whispered, “Stop flirting” in her ear during her contact with a male student, signed an agreement with the district saying he wouldn’t have contact with students via phone or social media – and would be fired if he broke the agreement. Henning did not respond to an interview request from Voice of San Diego. Henning currently teaches at Santana High School. Grossmont does not have a policy for district employees on social media use, or rules on contact with students outside of school hours. The sole reference to social media in Grossmont’s current computer systems and network use policy, adopted in December 2017, advises employees to use professional language in work-related communications. A spokeswoman said the district is evaluating best strategies for social media guidelines for its employees. The teacher misconduct records obtained by Voice of San Diego from various local school districts are also rife with instances in which teachers fostered intimate relationships with students through texting. Three years ago, former Southwest High School science and environmental studies teacher Suzie Grau sent one of her students sexually insinuating text messages, naked photographs of herself and a video of her masturbating, according to the records. Sweetwater Union High School District and Grau paid the student $30,000 as part of a legal settlement over the incident. The parents of the student, who was a minor at the time, noticed beginning in May 2016 that their son was staying up late texting, according to court documents. 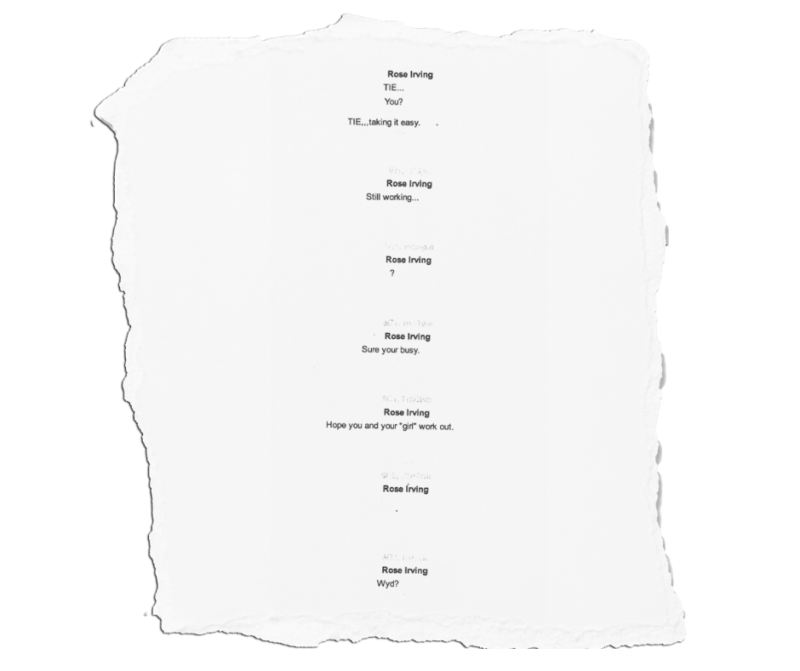 “As the (student) slept, his parents retrieved his phone to examine the text for themselves. After opening the phone, (the student’s) parents discovered numerous pictures of Grau in various levels of undress. Some of the pictures sent via text to (the student) by Grau included Grau in thongs without a bra on, laying down in bed with only a thong in suggestive sexual poses, a photo of Grau masturbating and other,” according to court documents. The student told his parents he believed Grau liked him, that other employees at the school were aware of their relationship and he made plans with Grau to engage in sexual activity, according to the records. Grau’s teaching credential was revoked in January 2017, one month after the student filed the complaint in civil court. Sweetwater and Grau and the student’s family agreed to a confidentiality clause as part of the settlement, preventing either party from speaking publicly about the misconduct. Sweetwater spokesman Manny Rubio said he could not comment on Grau’s resignation, but said drafts of a technology policy would be presented to the school board soon. Today, the California Department of Education does not have guidelines on school district employee use of social media or texting. The California Schools Board Association’s policy on employee use of technology acts as a template for California school districts and highlights personally owned devices, but does not mention social media, texting or other contact with students outside of the classroom using technology. That leaves room for San Diego County school districts like Sweetwater Union High School District, Poway Unified School District and several others to operate without clear guidelines. The most common guidelines in policies across the county include restrictions on district email and district-owned devices, but many do not mention social media or texting, use of personal devices or contact with students. Some mention social media but refer solely to district-sponsored social media accounts. Districts with clear guidelines on friending and contacting students outside the classroom, like Oceanside Unified School District and Escondido Union School District, say employees should not have interactions with students on social networking sites outside of forums dedicated to academic use or school-related activities, and should only contact district students for educational purposes. Fewer than 10 of the 43 districts in the county have policies that clearly address the use of social media, texting and technology to contact students outside of the classroom. They include Escondido Union High School District, Encinitas Union School District, La Mesa Spring-Valley Elementary School District, San Diego Unified School District, Spencer Valley Elementary School District and Oceanside Unified High School District. The San Diego County Office of Education’s policy says its employees are prohibited from using technology to engage in harassment, intimidation or threats against students and defines electronic acts to include texting and social networking websites. A study published in 2017 led by Cal Poly University professor and Stop Educator Sexual Abuse Misconduct and Exploitation (SESAME) board member Billie-Jo Grant examined 361 cases of school employee sexual misconduct in the U.S. in 2014. It found that about three out of four school employees used technology to communicate with victims, and that cell phones and other mobile devices were the most common use of technology. Terri Miller, director of SESAME, said misuse of technology by teachers should be treated with the same intensity as internet crimes against children. I asked Miller whether she had heard of teachers using technology in the way Medlock did with one of his students.